NEW YORK, NY — March 29, 2016 — Scholastic, the world’s largest publisher and distributor of children’s books, and internationally acclaimed game developer and publisher Blizzard Entertainment today announced a collaboration on a new book series for kids ages 8-12 based on Blizzard’s popular World of Warcraft® game franchise. 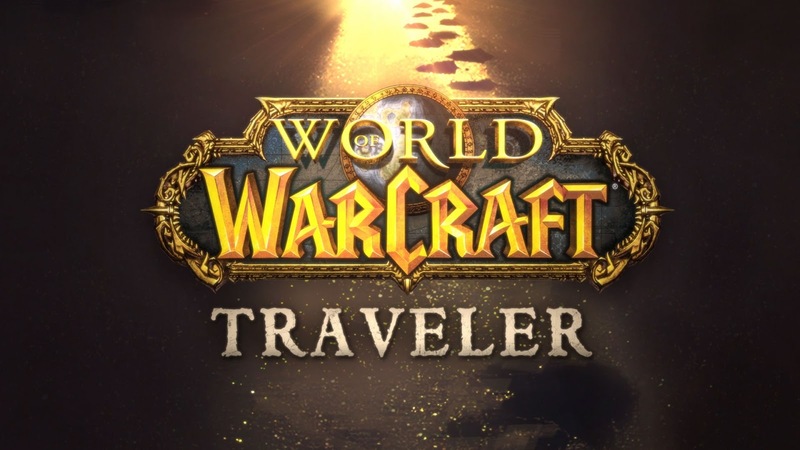 World of Warcraft: Traveler will launch simultaneously in the U.S., the U.K., Australia, New Zealand, and Canada, with the first hardcover book scheduled for release in November 2016, followed by the second title in November 2017. Set in the breathtaking land of Azeroth, this epic action-adventure series features a young cast of Warcraft characters discovering the mysteries and majesty of the world around them. Written by celebrated comic book author and animation writer Greg Weisman, the first book will include full-page sketches created by Blizzard artist Samwise Didier, and a full-color cover illustration by Blizzard artist Stephane Belin. (Watch the announcement on Youtube). It’s been years since twelve-year-old Aramar Thorne, a clever boy who is never without his precious sketch book, has seen his father. So when Captain Greydon Thorne comes ashore and asks his son to join him at sea, it feels as if someone has redrawn Aram’s entire world. Before he knows it, Aram is aboard the Wavestrider with Lakeshire fading to a distant dot on the horizon. But the thrill of adventure quickly fades, as Greydon relentlessly schools Aram on how to handle his cutlass and how to relate with the strange and diverse creatures of Azeroth. In addition, Aram struggles to get along with the Wavestrider’s crew—especially second mate Makasa, a tough teenaged girl who has been reluctantly placed in charge of him. Just as Aram starts to get his head above water, a band of vicious pirates attack the Wavestrider, turning his world upside down once again. 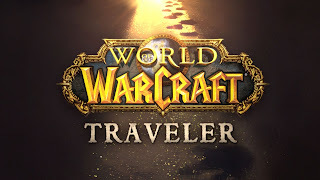 As Aram tries to find his way home with his father’s compass in hand, he’ll travel across Azeroth’s beautiful and hostile terrain, encountering creatures both terrible and wondrous. He’ll seek to understand Azeroth’s denizens as he draws them in his sketchbook, forming unlikely friendships along the way. But the journey is hindered by Greydon’s compass, which never points north. If the compass isn't leading Aram and Makasa home--to safety--to what destiny is it leading them? Greg Weisman has been a storyteller all his life. He’s best known as the creator of Disney’s Gargoyles and as a writer-producer on multiple animated series, including Young Justice, Star Wars Rebels, and W.I.T.C.H., and Marvel’s The Spectacular Spider-Man. He’s written multiple comic book series and two young adult novels, Rain of the Ghosts and Spirits of Ash and Foam. Greg lives in Los Angeles, California.